Development news features a new aid poem; UNESCO’s app fail on freedom of expression; how traditional organizations struggle with social media in emergencies; child sponsorship works! (says the World Bank); celebrities wearing stupid golden blankets; the hype around ‘effective altruism’; disaster capitalism meets refugees. Academia with more on UK’s proposed anti-lobbying legislation; social science fit for Africa; being a responsible public intellectual & anthropological challenges for a post-Ebola world. Large development organizations in general and the UN system in particular which talks a lot in an abstract way about ‘open data’, ‘transparency’ and ‘freedom of press’ need to find better ways of engaging with new forms of journalism. News about Matt Lee and his stand-off with UN officials reached me through Twitter on Saturday morning local time and has since gained some momentum, including a longer piece on BuzzFeed. I have been following Inner City Press’ reporting from the UN for a while and there are quite a few instances where I do not agree with Matt’s interpretation of events and his overall tone as a member of a radical opposition to the UN system. But it is 2016 and journalism is changing. Let’s start the week with some fresh readings! Development news features: Wyclef Jean’s ‘Ask me Anything’ disaster; the troubling comfort of aid lives in Geneva; UK think tanks threatened by ‘anti-advocacy’ clause; Kagame’s Rwanda; how bad are humanitarian agencies listening? ; our limited empathy in long wars; complex complexity theory; Cape Town’s Congolese dandies. Our digital lives on auto-ethnographic Snapchat experiments; #blacklivesmatter & citizen empowerment; enhancing IS narratives? New readings featuring: Safety & Protection of Media professionals; using Twitter data in social science; why the World Bank is still needed and still disappoints. Academia on the laborious process of publishing research and the Khan Academy on the future of free education. Anjan Sundaram delivers a poignant and timely book, a highly readable mix between a (very) long form journalistic essay and a foreign correspondent memoir (he actually worked as a media trainer). 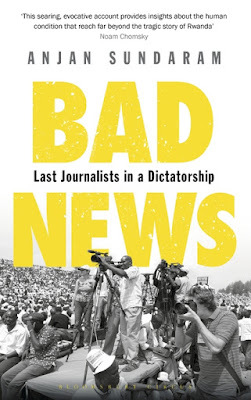 ‘Bad News-Last Journalists in a Dictatorship’ is his expose of the Rwandan regime’s suppression of free media and journalistic freedoms with a significant personal, sometimes deadly toll for a generation of young journalists. Running a small media training project with a core of independent journalists, Sundaram features stories and events that occurred during his stay in Kigali between 2009 and 2013. President Paul Kagame’s tight grip on the society and his power to control the country are palpable throughout the book and the quest of a small group of independent journalists to engage critically with the circumstances (i.e. doing their job) represents broader struggles of living and working in an authoritarian society. Thanks to a busy, but also very fulfilling week with lots of great teaching and discussions with students, link review #172 turned into a weekend edition! 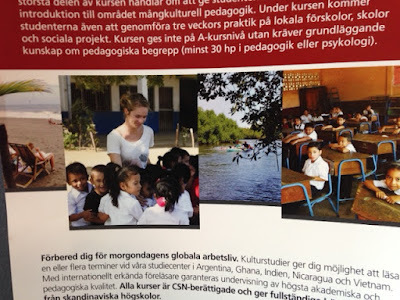 Development news features a story of sexual violence and Ebola; the failure to bring US-driven ‘digital democracy’ to Egypt; more Nestle and slavery; more on new challenges for the future of humanitarianism; what ‘zero effect’ of an intervention can mean; subversive charities in China and a biography on militant philosopher Frantz Fanon. Digital lives looks at the global app economic divide and the digital toolbox of a civil servant. Plenty of new publications, including annual peace operations review, Think Tank ranking and NGO tech report. Academia celebrates 45 years of UK’s Open University; a critical look at how relevant relevance discussions are-plus an anthropological view on hierarchical dependence in the German Max Planck research institutes.